Pete Miller's Water and Wildlife Studio - Cool, Beautiful and RARE Coastal Christmas Ornaments of real blue crabs, shrimp, fish and crawfish. Cool, Beautiful and RARE Coastal Christmas Ornaments of real blue crabs, shrimp, fish and crawfish. 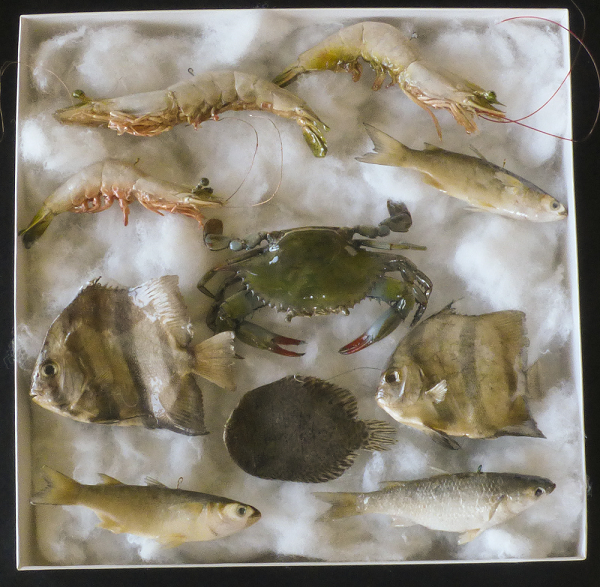 A unique collection of 10 sea specimens professionally preserved and air brushed to their natural colors offered in a boxed set of Coastal Christmas Ornaments. The collection is limited to 100 numbered sets. SOLD OUT AGAIN! 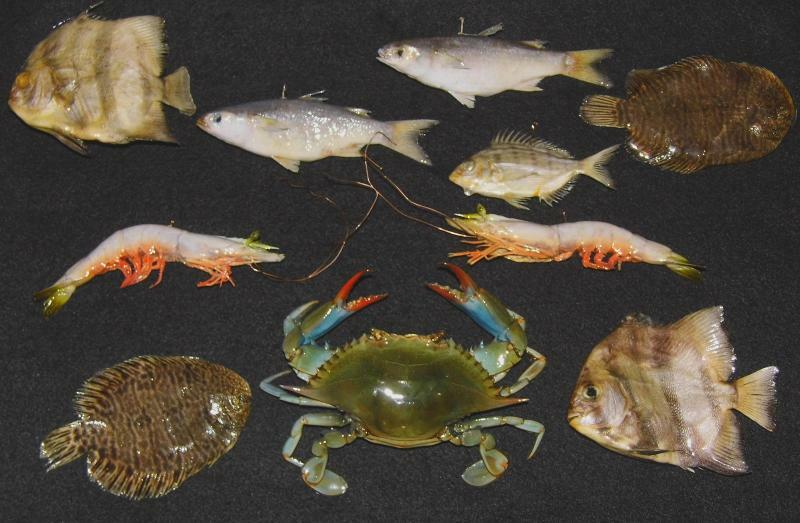 The set consists of 1 blue crab, 3 shrimp, and 6 assorted fish - you will receive a combination of finger mullet, hog choaks ( look like little flounder ), pin fish, and or spade fish. All the fish will be at least 4 inches long, the shrimp will be at least 5.5 inches long, and the blue crab will be at least 3.5 inches across the back shell from tip to tip. By the way, the crabs I use for the ornaments are from a local shedding operation. 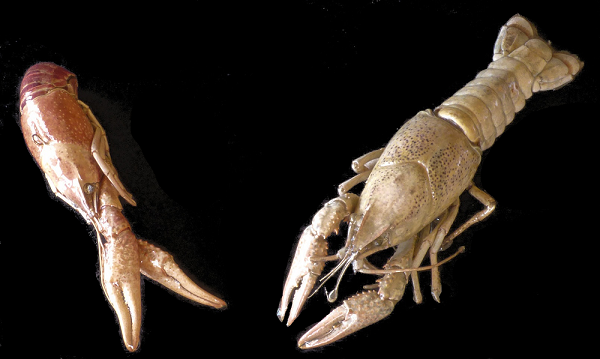 You may substitute up to 3 crawfish for any of the other specimens. Just let me know in the comments section when placing your order or call or e-mail me. Like all my taxidermy work, the ornaments are guaranteed not to rot or lose color for 20 years provided they are not exposed to moisture or direct sunlight. Although using them outside voids the warranty one of customers bought a few individual pieces years ago to decorate her crab pot Christmas tree and they are still doing fine. Please store the ornaments at room temperature when not displaying taking care to avoid extremely warm areas such as attics.